LinkedIn Premium is a paid account of LinkedIn's service and is an advanced version of LinkedIn's Basic (free) account. 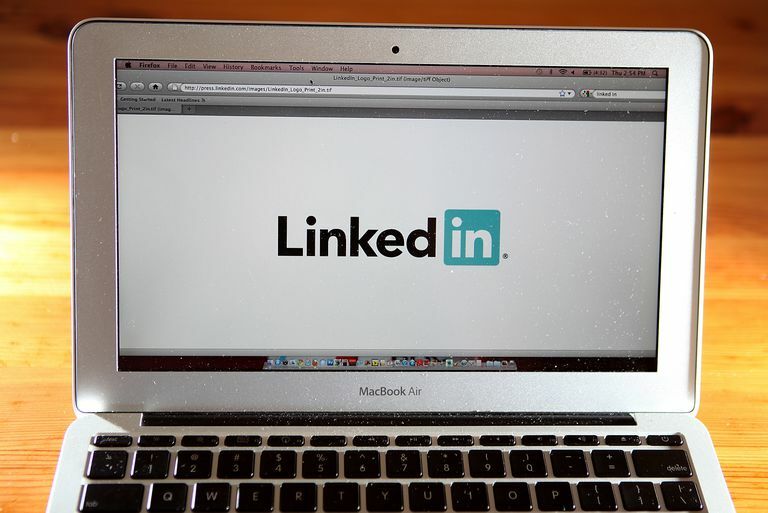 What Is a LinkedIn Premium Account, Anyway? LinkedIn is the top social network for professionals, and it's one of the few major social networks that gives users the opportunity to upgrade their accounts. Since it has more features to offer, a premium account requires a paid monthly subscription. But is a LinkedIn premium account really worth it? LinkedIn offers a free trial for a whole month before you're automatically charged the monthly subscription fee. This is the perfect opportunity to use all the advanced features and decide for yourself whether the monthly price is worth paying for. LinkedIn offers four different premium plans, each of which is tailored to a specific type of professional. The type of plan you choose depends on your professional goals and how you expect to use LinkedIn. What It's For: Searching for relevant jobs and increasing your chances of getting hired. Benefits: If you're serious about your job search, LinkedIn's Career plan can help you improve your ability to make connections with the right recruiters—just by looking at who's viewed your profile and how many searches your profile is showing up in. InMail messages (not available with a Basic account) also gives you the opportunity to reach out to people you're not connected to, which could potentially lead to a job interview. What It's For: Expanding your network and building your professional reputation. Benefits: LinkedIn's Business plan might be more appropriate than the Career plan if you need to run a lot of searches for people or want to message more of them. Wether you're job searching or simply looking to network, the Business plan can help you waste less time connecting with the wrong people. Unlimited people searches mean you can search to your heart's desire, and with 10 InMail credits, you can contact more of them than you can with the Career plan. What It's For: Finding more (and better) targeted leads to sell your products or services to. Benefits: Like the Business plan, the Sales Navigator Professional plan allows you to perform an unlimited number of people searches—but it doesn't stop there. If your goal is to sell to people, you can use the sales tools that come with this plan to target the right customers and make more sales. You can even attach notes to individual user profiles. See what's working by accessing your sales insights so you can learn more about your target customer and how they buy, plus make use of double the number of InMail credits as the Business plan to reach out to potential customers (or potential business partners who can help you sell more). What It's For: Finding the best candidates to hire. Benefits: If you're the one doing the hiring, you can certainly cut down having to sift through too many applications and the uncertainty of potential candidates being a good fit by upgrading to the Recruiter Lite plan. Although it's the most expensive of all four premium plans, it's the most extensive in terms of design and feature offering. You can take advantage of eight recruiter-specific search filters to find top talent and reach out to as many as 30 of them in a single month with InMail credits. To keep track of potential candidates, create Projects and make use of tools that remind you to follow up, save profiles that you're interested in and more. So, Is a LinkedIn Premium Plan Worth It? If you already have a Basic LinkedIn account, you might be wondering if all the extra features you get by upgrading will actually be worth your money. Obviously, the way you plan to use LinkedIn will be unique to you, but in general, there are a few things you should ask yourself when deciding whether you'd like to try upgrading. Do you want to message people you're not already connected to? If your answer is yes, then LinkedIn Premium is worth it for the ability to directly message others not in your network with your InMail credits. Basic accounts don't get to send InMail messages at all. Do you want to see more people who've viewed your profile? A Basic account only allows you see up to five people who've viewed your profile while all premium accounts allow you to see who's viewed your profile over the last 90 days. People who've already found you via a mutual connection, a search or some other way can result in high-quality connections, making a premium account worth it just for that. Do you want to perform more searches and get more specific search results? If you try to run a lot of searches on your Basic account, LinkedIn might eventually stop showing you results and encourage you to upgrade to a premium plan. Upgrading gets you unlimited searches, the ability to save searches and access to more search filters. Could you use more detailed information about people or companies? A Basic account will only take you as far as the information provided on user profiles or company pages. With a premium account, however, you can access your insights tool to dive deeper into applicant, company or lead details. Do you plan to use LinkedIn as your main tool for job searching, networking, lead generation or recruiting? If you're favoring another tool over LinkedIn, you may not need a premium account for the simple fact that you'll be spending more time and effort somewhere else. LinkedIn premium is worth it if you take full advantage of it—plain and simple. Still on the fence about a LinkedIn premium account? If you can answer "yes" to anywhere between 4 and 7 of the LinkedIn user behaviors listed below, it's unlikely that a LinkedIn premium account would be worth the price for you to pay.